Truck randomly doesn't want to start, will later. / Truck randomly doesn't want to start, will later. This is driving me insane. Truck cranks and runs normally. I drive it, all works as expected. If I turn it off, sometimes it starts again, sometimes it doesn't. Yesterday I drove it. Came home turned it off. Immediately started it again and it started normally. Turned it off, immediately tried to start again and nothing. It turns over, but never starts. Luckily it finally did it in my driveway so I could troubleshoot the thing. Injector is pulsing gas, I have fire to the plug wires. Pulled the plugs and they look normal. Just spins with the starter doesn't even pretend to try. I messed around with it not starting checking different things until it was cool, still not starting. It isn't flooding, tried cranking with the throttle wide open. Nothing. I went inside, came out 2-3 hours later. Truck started normally again. It has fuel and fire. What am I missing with this thing that it randomly starts or doesn't? RE: Truck randomly doesn't want to start, will later. (03-26-2019 05:05 AM)toolman21 Wrote: old cars are like that, ever see any other 89s on the road now, very very rare here, 1 a month if ever, but can be repaired. my guess is spark is ok, but its only 5min work to test, even at the coil, with test spark plug on the end of spare spark wire. fuel, the air horn comes off, and will start no problem with that off, so you can see fuel injectors on all 8v engines 89 to 95 (usa) and even later outside USA. 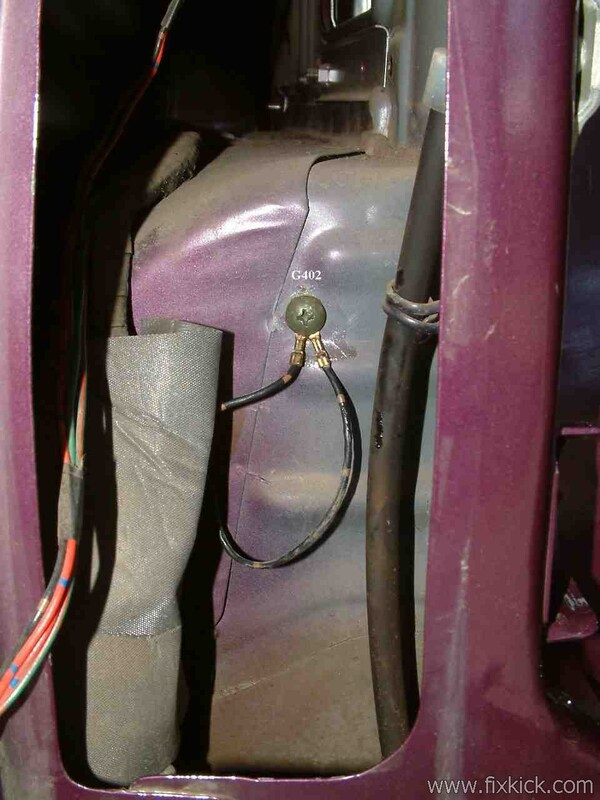 is the wires rusted behind 2door left rear tail light, g402 and pink wire? this is an 80s car with 2 injectors so pretend 1.
that is what injection looks like and if is dead, the pump is dead. here is the list off all thinks that kill the 1 injector TBI dead. 1: pump dead or wires to it rusty as this car loves to do. 3: TPS sensor TP pin stick at 4vdc or more. bad TPS. 4: ignition suppressor device fell off, harness and tacho goes dead. and ECU sees tacho dead and cuts fuel until fixed. 5: CMP dead, but that kills spark and you check that first. as for sure is first first. 6: FPR regulator stuck wide open , its bad but may snap closed, if engine shakes hard enought ( i think not this) or its spring inside rusted to GONE ! then if that is ok, check fueling at the injector with EYES. more, loose IG-coil fuse or its insides with hair line cracks. more, loose FI fuse. same crack and kills fuel. and a ton of other wires to fail but we work spark the fuel first. and arrive a true cause. doing simple tests. Plenty of spark on all 4 plug wires, checked with screwdriver arced off metal on engine. I took intake runner tube off, the injector is clearly pumping gas when trying to start. Brand new fuel pump, etc. I have spark, I have fuel, just randomly decides it won't start after being shut off. (03-26-2019 06:33 AM)toolman21 Wrote: Plenty of spark on all 4 plug wires, checked with screwdriver arced off metal on engine. if the engine run now, spark need not be checked,.... obvious but must be asked. look at it inject, with 2 persons, one looks and other cranks , use mirror so if it back fires, no burned eyebrows. or crank and use camera to photo it injection even make a movie, then watch the movie, safe in bed. the tests are so easy on this engine, spark then fuel. if cmp dies, same thing no spark, and logic above, no fuel. if spark is ok, fueling must happen. does it"? the injector is so easy to see on this car, do so. and we can work the failure to TRUE cause. the 3 second fuel thing on this car does not exist above 10 Fdeg. if outdoor air temps are above 10Fdegr. then there is NO 3 second prime pulse nor sound of pump , for 3 seconds key on. a 91, would make sound key one, ever time,from the pump. so in every case of 89 the injector needs to be looked at eye balls. no pump sounds can be heard over any starter motor grinding away. do not be tempted by the dark side. hotwiring any fuel pump relay on this car, or you will blow the ECU to hell, and $400 bill. do not. 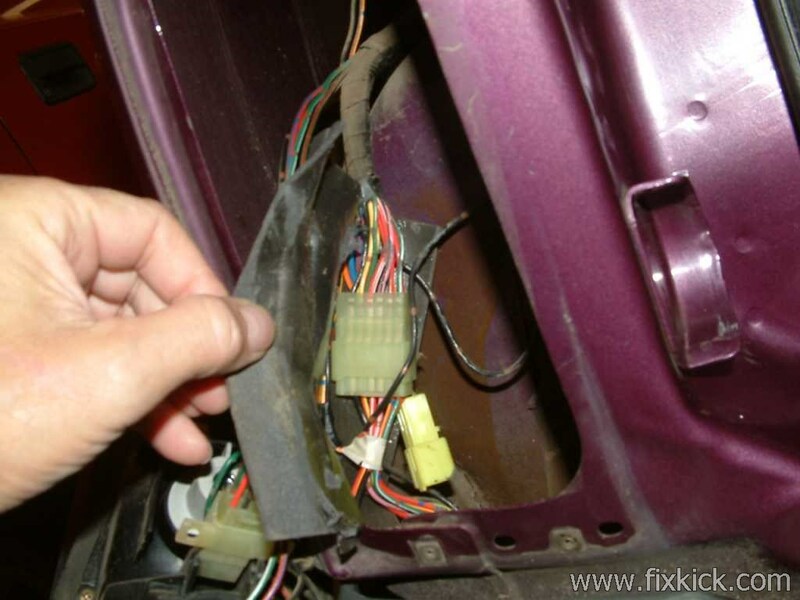 unless you remove the pink wire at the left rear tail light first. then (umpluged) and hot wire the pump side ONLY. see here next, g402 rusty? pump ground. to test voltage at the pump wire, you must crank the engine or volts sits at 0vdc. if you crank the voltage will be near battery voltage 10v to 11 volts is par, at 8v the starter chatters like mad. this left rear tail lamp connections love to rust. water gets up there and well rust happens. and under car 2 more pink connectors rust. pink = pump. if yes, it rusts 10x faster. locations matter. down here, no rust, at all . what old cars and corrosion, many grounds on the car fail, even head lamps go dim, and more. Injector is pumping gas as expected. There is spark as expected. Would the crank sensor if bad kill the spark, or would spark be there as normal on this particular (89 sidekick) truck? the ECU does not make make spark and there is no true CMP cam sensor here at all, only one VR sensor inside the distributor. the CMP cam sensor started 1991 up (all comments USA cars) CMP is HALL sensor, that mostly never fails but the 89/90 VR sensors love to fail. VR is variable reluctance sensor, and has gap setting in the manual and on my 89 spark page. fixkick.com even the factory pages on that.. all there. can I assume [/b]the below means engine will not start but at that TIME (moments of testing), the below was seen?(proven)? there is no such thing, on this car., period. nor will any 96 to 98 sidekick Crank sensor kill spark like seen on all Toyota's ok? so forget CKP sensors, there are none here. this cars ECU only does Fueling, the ECU does not create spark on this CAR, nor does it advance timing on this car ever. a horrible fire, as the engine floods like mad. ever try new spark wires and new spark plugs gapped to 0.028" and never use the out of box gap EVER, OOTB out of the box its 0.045" done by mindless computers, in factories (machines) . using simple and cheap, J plugs from NGK? spec spark plugs. one odd things about engine,s and failure to start, (cranks fast at 300rpm) there are these things. 1: is the crank bolt 17mm hex torqued to 94ft/lbs , per the TSB. ? 2: are you running the cam belt from 100,000 miles an wondering why the timing of same changes every day or week or attempt? that means the belt slipped. step 2 above. I would now guess, 2 things, cam timing changes like made. check spark quickly and if that is ok, I then do WOT cranking to clear all flooding. yes, I then check compression , WOT, must be near or over 1/2 throttle to get air into the engine and let the compression gauge peak the needle. if compression not at spec or 1/3 normal is possible the cam is NO LONGER TIMED. is the belt new? is the crank cog at 94fl/lbs, this 94 rule is day one buy car check, never skip this check or wreck a good crankshaft you will.